Outdoor There are 3 products. 1966 Adjustable Chaise RICHARD SCHULTZ 1966 Richard Schultz designed the 1966 Collection at the request of Florence Knoll who, after retiring, wanted outdoor furniture that could withstand the corrosive Florida ocean air. 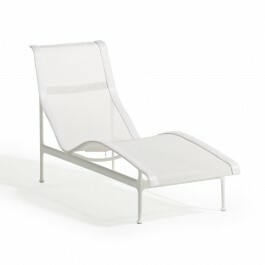 The 1966 Collection is regarded as the first modern outdoor furniture and has been the category standard ever since. 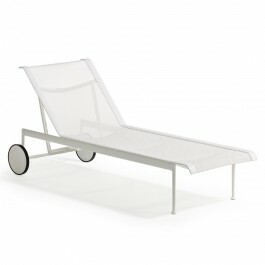 1966 Contour Chaise RICHARD SCHULTZ 1966 Richard Schultz designed the 1966 Collection at the request of Florence Knoll who, after retiring, wanted outdoor furniture that could withstand the corrosive Florida ocean air. The 1966 Collection is regarded as the first modern outdoor furniture and has been the category standard ever since. 1966 Lounge Chair RICHARD SCHULTZ 1966 Richard Schultz designed the 1966 Collection at the request of Florence Knoll who, after retiring, wanted outdoor furniture that could withstand the corrosive Florida ocean air. 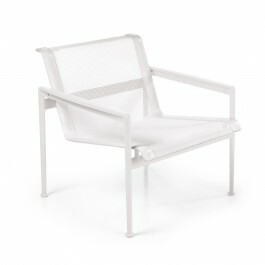 The 1966 Collection is regarded as the first modern outdoor furniture and has been the category standard ever since.